Why Yoga at Work ? Is your work taking its toll on your health? Going to a regular class, but feel that you are just one in the crowd? Looking for a way to improve your workforce morale, cultivating a healthier, happier and more focussed team? Did you know that numerous studies have verified the health benefits of a regular yoga practice? Tight shoulders, lower back pain and cronically tight hips and hamstrings are just some of the physical problems we suffer with our modern sedentary lifestyles … wouldn’t it be great to step out of the daily routine for a chance to reconnect with your body and mind with an energising but calming yoga class. 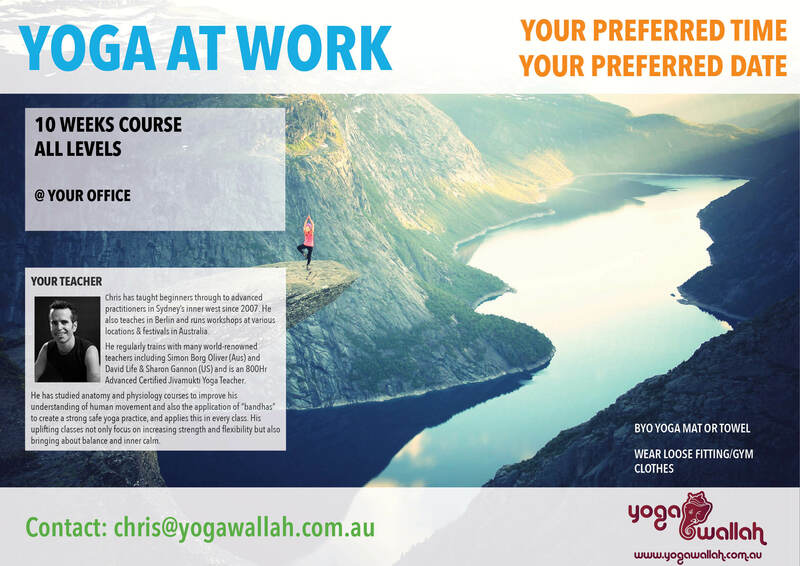 Yoga at Work classes brings yoga to you saving the time and stress of travelling to your yoga class.